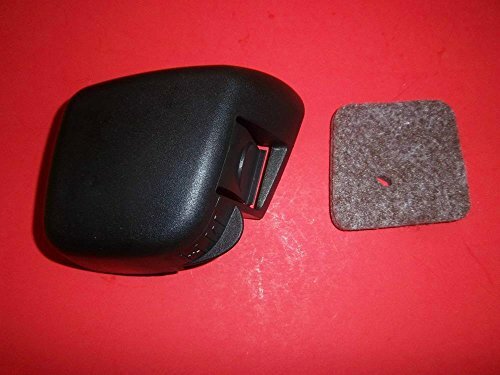 You have reached string trimmer Outdoor Power Equipment NEW STIHL AIR FILTER COVER / REPLAC AIR FILTER FITS FS55R FS45 FS46 41401410501 in Findsimilar! Our expertise is to show you Replacement Parts items that are similar to the one you've searched. Amongst them you can find HIPA (Pack of 2 4140 358 7702 Fuel Line + Fuel Filter Primer Bulb for STIHL FS38 FS45 FS46 FS55 KM55 HL45 MM55 FS100 FS110 FS130 Trimmer Weed Eater, Farmertec String Trimmer Air Filter Cover for Stihl FS38 FS45 FS46 FS55 FS56 FC55 FS55R FS55RC HL45 KM55 KM55C FS55T FS45C OEM 4140 141 0502, 4140 141 0501, 4140 141 0500, HUZTL C1Q-S97 Carburetor for STIHL FS38 FS45 FS46 FS55 KM55 HL45 FS45L FS45C FS46C FS55C FS55R FS55RC FS85 FS80R FS85R FS85T FS85RX String Trimmer Weed Eater with Air Filter Fuel Line Kit, HIPA C1Q-S97 Carburetor with Air Filter Fuel Line Kit for STIHL FS38 FS45 FS46 FS55 KM55 HL45 FS45L FS45C FS46C FS55C FS55R FS55RC String Trimmer Weed Eater, Carburetor for Stihl FS80 Carburetor - STIHL FC55 FC75 FC85 FS310 FS38 FS45 FS45C FS45L FS46 FS55 FS55C FS55R FS55RC FS55T FS74 FS75 FS76 FS80 FS85 HL45 HL75 HS45 HS75 HS80 HS85 ZAMA Carburetor (FS80), all for sale with the cheapest prices in the web.